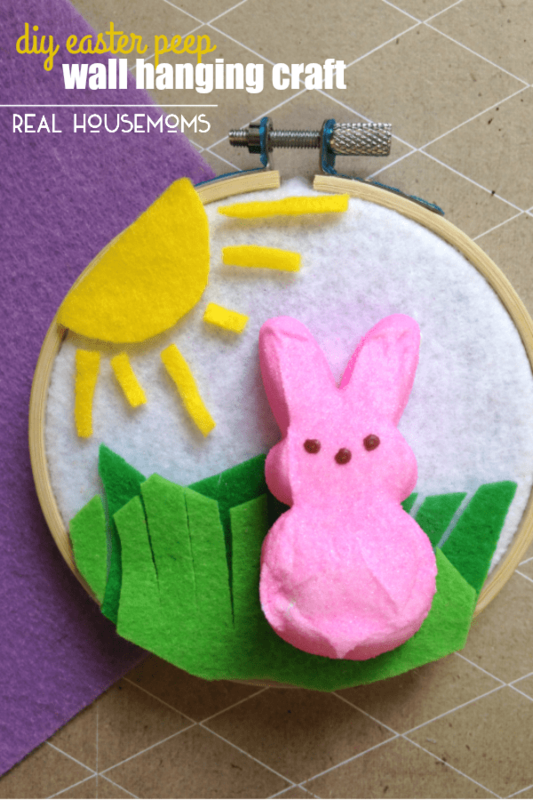 This DIY EASTER PEEP WALL HANGING is a cute craft project to do with the kids for Easter! Other than being cute and fun, what’s great is that you don’t need many supplies. And you can get as creative as you like! We went with just some simple felt, but feel free to get creative! 1. 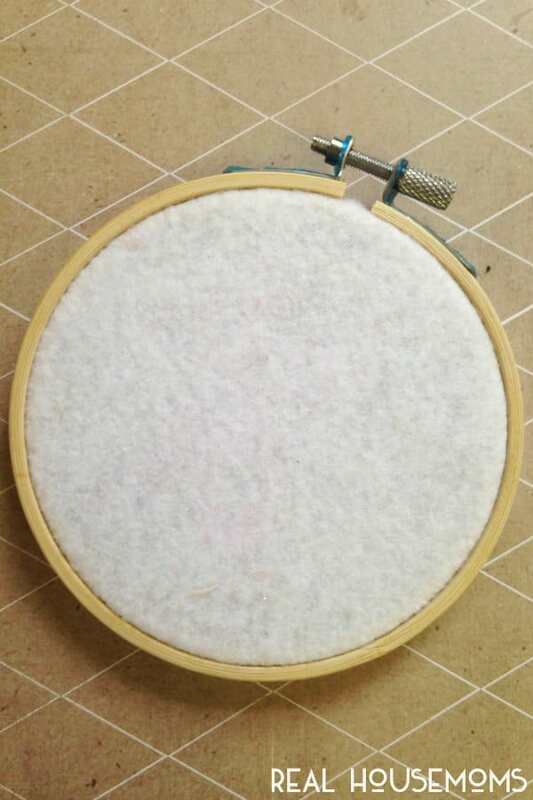 Begin by placing the white felt in the embroidery loop. Press the loop tightly to fit. Trim off any extra felt around the corners so the edges are clean. 2. Cut out the grass using the various colors of green felt. Cut a rectangle and fringe one side of each so you get the look of grass. Kids love helping with this part! 3. Cut out your sun by snipping a half circle and some small ray strips. 4. Start gluing the grass and sun into place on the white felt. Once these pieces are in place you can add some glue (be generous) to the back of the Peep and press it to the center of the loop. Let dry. 5. 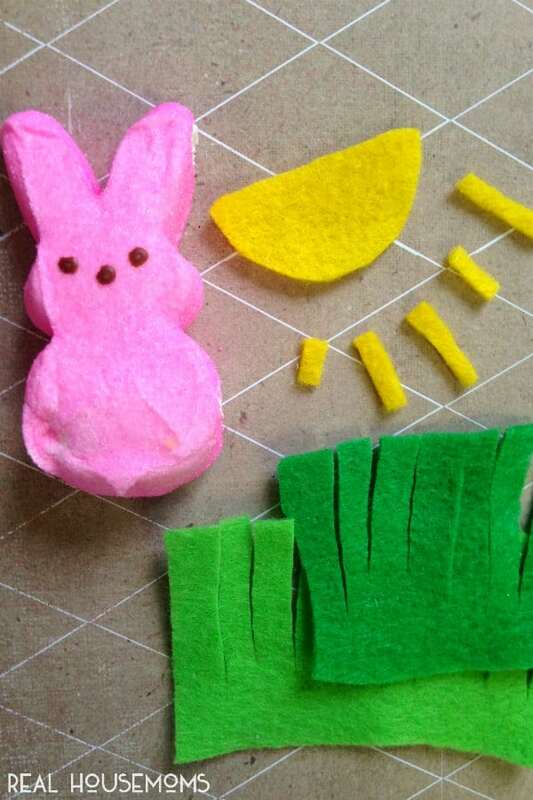 Optional: use mini pom poms for clouds, flowers, or Easter eggs in the grass. 6. 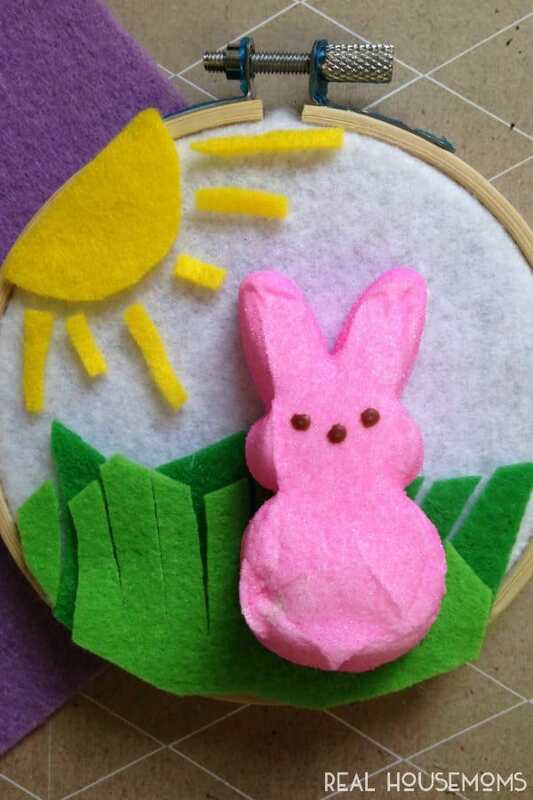 Hang your Easter peep creation and enjoy!! Isn’t it fun? The kids will love this! 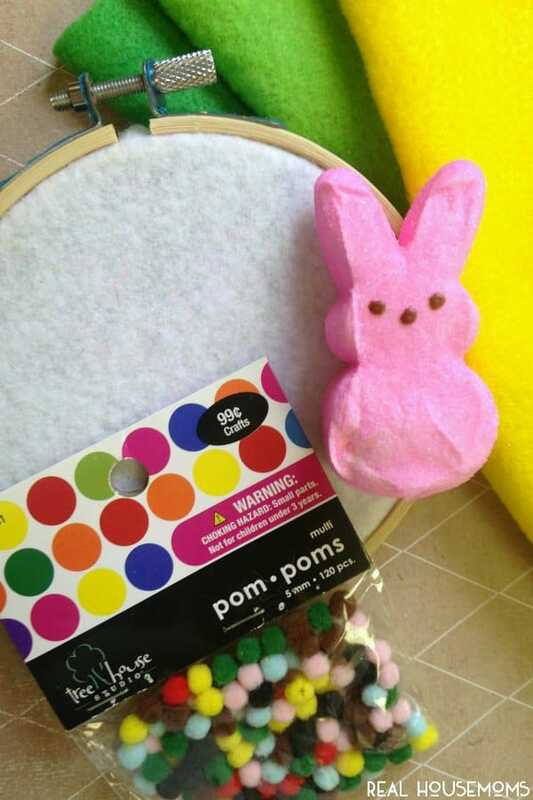 For more fun Easter crafts, you can check out this Easter crafts round-up and these fun paper mache Easter eggs!